Listen to the Podcast Green Actors Guild Interview of me speaking about Voice Acting! 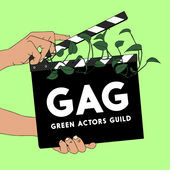 One of my Animmersion: An Animation Voice Acting Workshop For Actors students, interviewed me on her Podcast Green Actors Guild By Jade Kaiser. knowledge to give with over 30 years of experience under her belt!